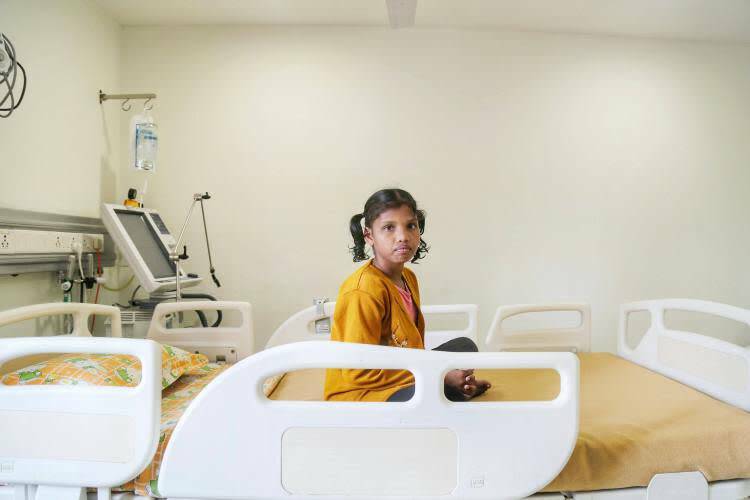 Esther has been suffering from a rare blood disease that leaves her weak and at the brink of death if she does not get frequent blood transfusions. 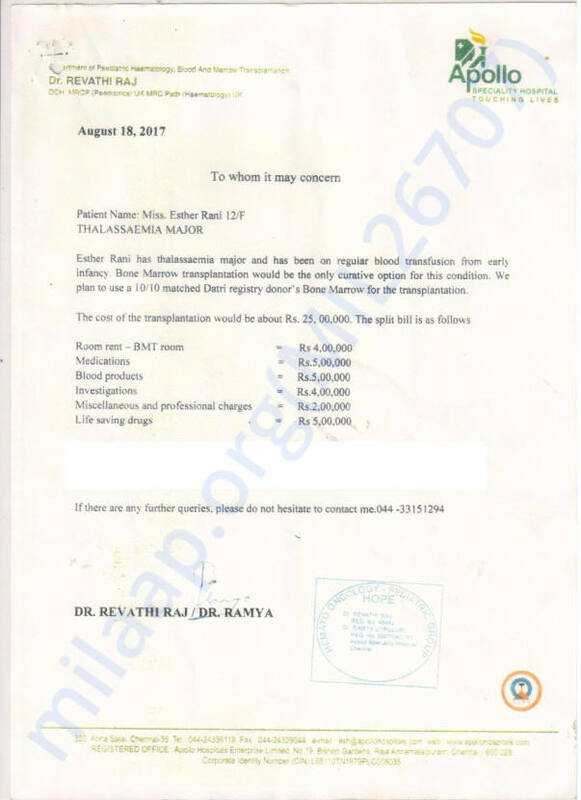 Her father, a pastor, and mother, a worker at the church, spent lakhs to keep her alive all these years. Now, Esther’s father is struggling to even take her to the hospital, leave alone get her the life-saving treatment she needs. 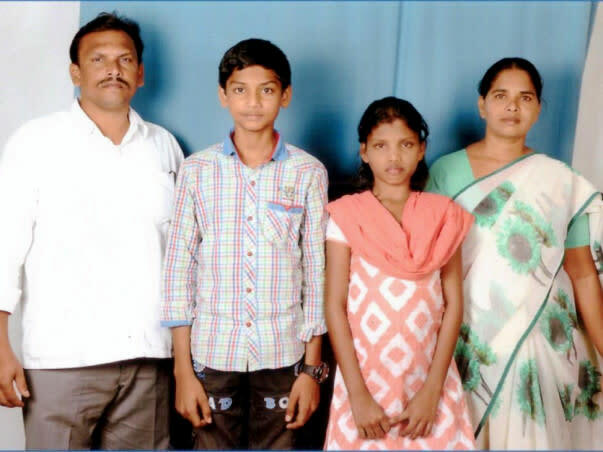 Despite poverty, David and Sunita led a happy life and rejoiced when they were blessed with a child. David was happy to become a father but the joy did not last long as fate had other plans. Esther was diagnosed with Thalassemia when she was just 6 months old. Thalassemia is a blood disorder which is caused due to less oxygen-carrying Haemoglobin and fewer red blood cells in the body than normal. The patient suffers from fatigue, weakness, paleness and slow growth. Mild forms may not need treatment. 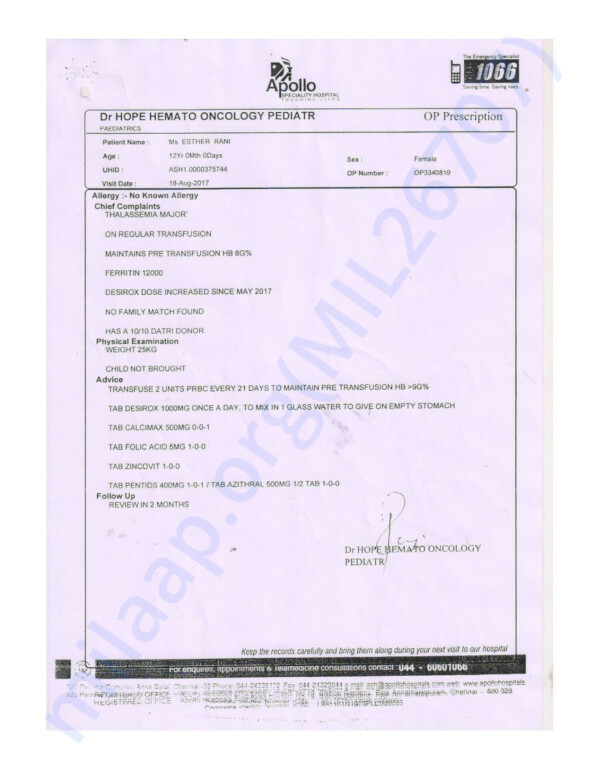 Severe forms may require blood transfusions or a donor stem-cell transplant. 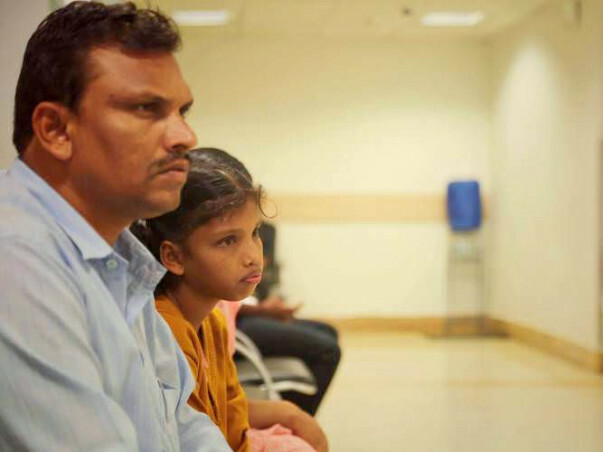 Every month, David and Esther had to travel to Hyderabad for blood transfusions. It helped manage her condition to a certain level. He was hopeful until he discovered that several patients with Thalassemia died before they turned 25. 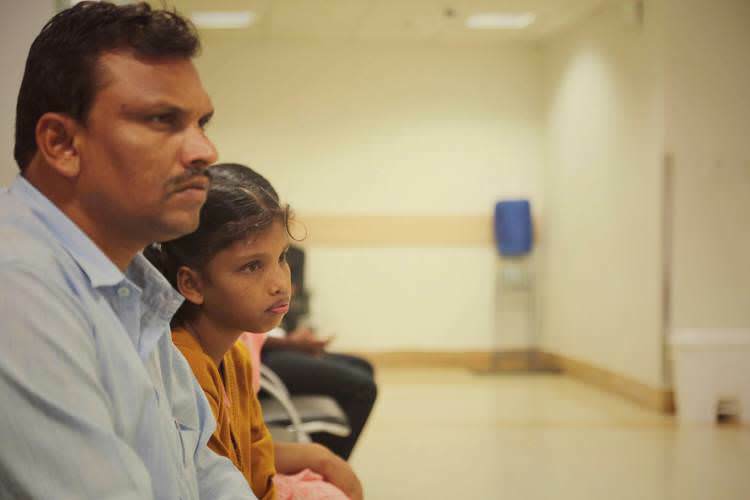 After a long run around the hospitals in Chennai, he understood that Bone Marrow Transplantation would save his daughter’s life. He even found a donor but it was crushing to realize they needed Rs. 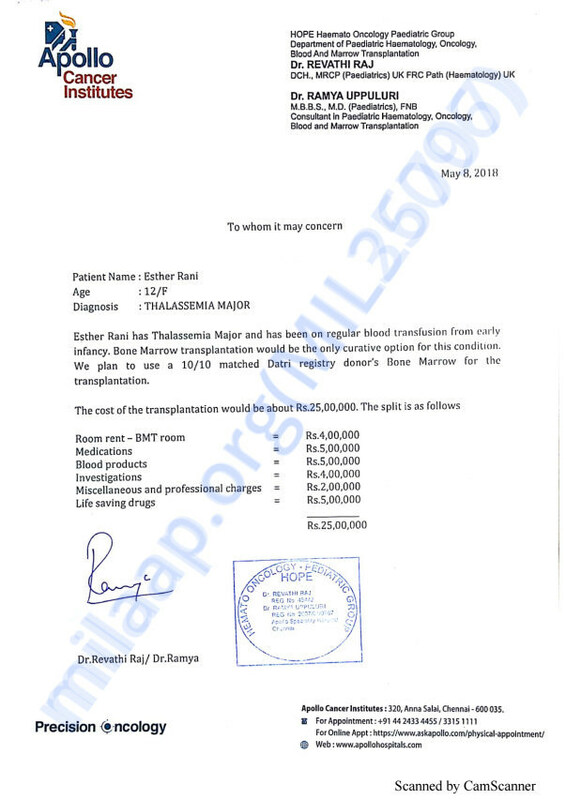 25 lakhs for the transplant, money they could never afford. “Sometimes it takes more time to earn for her transfusions, so I delay taking her to the hospital. She gets weaker every day without blood, and it is heart-breaking to see my daughter lying on the bed motionless with headache and fever. If this keeps happening, I will lose her even before she turns 20,” explains David. As Esther turned 10 years old, she needed transfusions every 2 weeks. David, being a pastor in a small village church, earned very little and almost all of it went towards her medicines and treatment. He hoped someone would help him through it, but in vain. Sadly, the family including their young son chose to skip meals to keep Esther alive. The innocent child and her doting father are at the crossroads of belief and despair. This moment of truth will make or break them. The family needs our help to save a daughter’s life. Esther needs a bone marrow transplant soon before she begins suffering from the fatal effects of anemia and transfusion. David is putting his faith in the world, and is making one last appeal to save his daughter from this terrible disease. 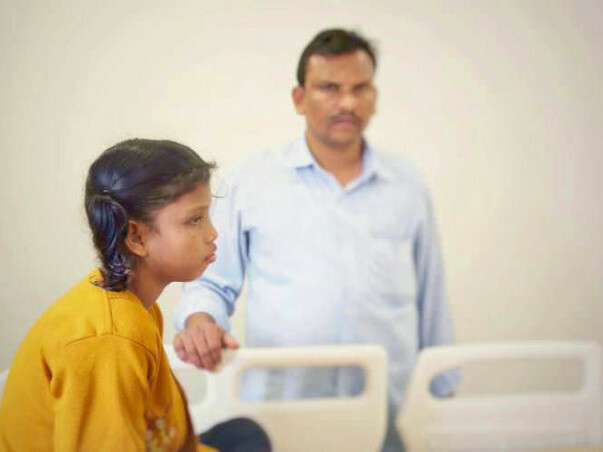 Your contribution can save a little girl and her whole family from a terrible fate.